We enable our customers to develop superb technology products regarding reliability, safety and quality. We will show you how to apply reliability engineering and risk analysis in product development. Courses are suitable for design and product development engineers, safety and reliability engineers, quality managers and technical managers. Course modules are also available to universities and technical colleges. 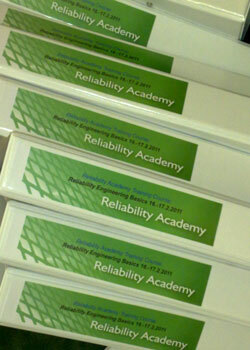 Courses arranged together with Reliability Academy. Functional Safety as in EN 61508, 1d. 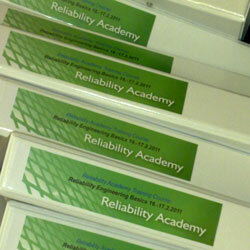 Reliability Basics and Risk Analysis, 3d. R1.Reliability Engineering Basics: Terminology, procedures, calculations. R2.FMEA Analysis: Different FMEA types. How to perform effectively. R4.Risk analysis: HAZOP (Hazard and Operability Study), SIL, LOPA. R5.Action Error Analysis (AEA). How to apply, exercises. R6.Design for Testability – How to achieve good Testability. Basics, methods, documentation and standards. Rm1. Risk Management Systems – Basics of Product Assurance for demanding applications. Rm2. EN 61508, EN 61511: Functional Safety, Safety Life Cycle. Rm3. EN 13849: Safety of Machines and Control Systems. Rm4. CE-conformance and Machine Safety. The courses are based on practical experience in hundreds of reliability engineering and risk analysis projects in different industries (See gallery). Find at minimum 3-4 persons in your company and ask for quotation. Email contact: info(a)alsafety.com.